Install Postgres Database on Windows and allow password less access for the database to be used in various applications. 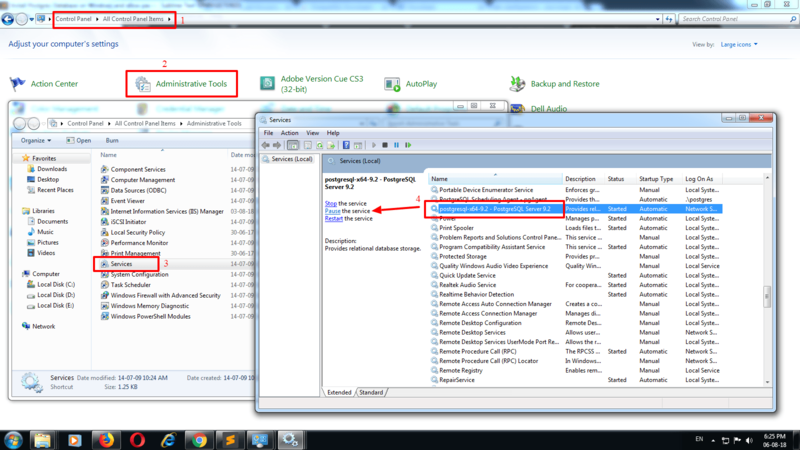 pgAdmin tool can be downloaded and setup on Windows machine to view and manage the databases and tables by downloading the executable file from here: https://www.pgadmin.org/download/ Make sure to check the Postgres version and compatible version of the pgAdmin tool. Now, for applications running on private & internal LAN setup, a password less access to the the postgres database is required. To allow login into the database without a password, a simple modification to the pg_hba.conf file is required. Restart the postgres server. Go to Control Panel > Administrative Tools > Services > Restart the Postgres service. Skype, one of the most used VOIP client software for communication inside organizations. One problem with this software is that: by default you can’t remove chat history for a specific contact. To delete chat history of a particular user/contact in your Skype, you have to use a DB browser software( sqlitebrowser ) to read the local DB files and make the changes. Follow the steps below to remove any history for a specific user from your system. This removes the history form your local system; not from the other side of the Skype contact. So, he/she can see those from his/her computer. 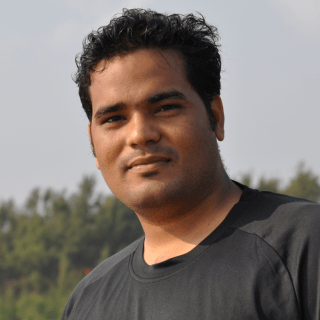 Take backup of main.db file before implementing anything from these steps. 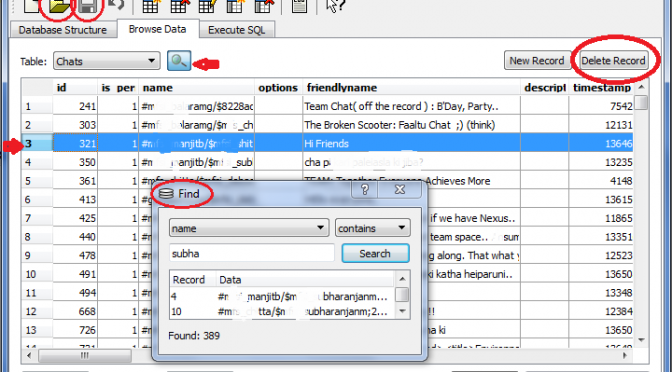 Download the DB Browser( SQLite Browser ). Its free and open source. Signout and Quit your Skype. Go to the directory below and take a backup of the file main.db file. Just copy the directory itself or the file and keep it somewhere else for safety. Replace ‘skype_username’ with your skype user name in the above path. — Click on the browse data tab. 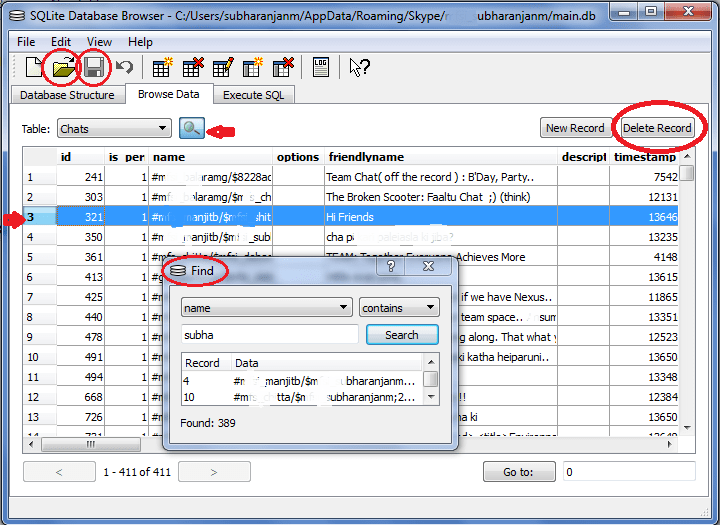 Here you can have all the tables that are being used to store history data in Skype. — Search the records by the particular user and delete those records. Mainly the chat related records reside inside ‘Chats’, ‘Messages. table. click on one of the last results in the list and you will see the row. — Select the records and click on ‘Delete Record’ button. At last don’t forget to click on the save changes icon.